Strasbourg/Pforzheim/Bonn, October 4, 2018: The ees & IBESA Summit in Strasbourg is the main meeting point for the battery and energy storage industry in France. On October 24, 2018, European manufacturers, service providers, project developers, systems integrators and research institutes will come together in Alsace to make transnational contacts. Supported by ees Europe, the continent’s largest and most visited exhibition for batteries and energy storage systems, and the International Battery and Energy Storage Alliance (IBESA), summit participants will discuss the latest topics and trends. They will develop new business models and visions for the new energy future. Because we can already see today that the storage market is moving as fast in France as it is everywhere else in the world. The ees & IBESA Summit France 2018 will bring the battery and energy storage system industries together in Strasbourg. The one-day conference provides an opportunity for all relevant stakeholders in the energy storage industry to exchange knowledge and ideas about crucial topics for the future. 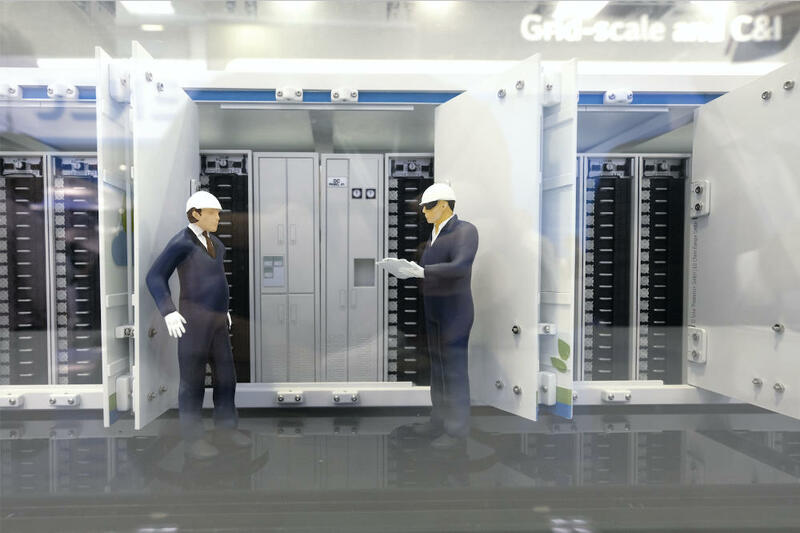 Just like the photovoltaics (PV) industry of the 1990s, the market for storage systems is now also radically changing — and it is only becoming more international. That is why it is essential for everyone involved in the industry to network via a common platform, so they can learn from each other, develop visions for the future and correct undesirable developments early. That will ensure quality and reliability for tomorrow. The market for storage systems is booming. It has tripled in recent years in Germany alone, where already more than 100,000 solar storage systems have been installed, and there is no end in sight. The annual worldwide installation rate of stationary storage devices will increase significantly by 2030 —Bloomberg New Energy Finance predicts a capacity of 125 GW with a storage volume of 305 GWh. The combination of photovoltaics and storage systems is proving to be promising, including for the French market. In France, companies which install solar systems are now using their distribution channels for storage systems, too. According to EuPD Research, 68 percent of them were already offering battery storage systems in 2016. The trend is catching on. It is accompanied by a shift from direct to indirect purchasing, with the new target group being distributors and wholesalers. The French government plans to raise the share of renewable energies in the country’s power supply — by 2025, nuclear energy should be reduced from 75 percent to 50 percent of the energy mix. Massive investments are necessary for this plan to work, including in the area of smart metering as well as for efficient transmission and distribution of electricity, and electrical energy storage is crucial. Strasbourg serves as precisely the right meeting point. On October 24, the ees & IBESA Summit France will take on the challenges and opportunities existing in the French and the wider European energy storage market. It will also put current political, technological and market-related issues in the spotlight. Visitors can expect a high-quality program. One of many highlights is a session about the revolution in energy storage media in Europe. A range of relevant topics are on the docket here and speakers will address such topics as the underlying political conditions, the economic climate and technical advances. Another session is focused on developments in the industry and the current status of research. This includes blockchain and the question of whether virtual power plants are the future of the industry. A third session will present business models and best practices. Among other topics, it will look at how energy storage systems have changed the energy supply in stand-alone systems and what advantages energy management systems offer for residential properties. “With falling costs and rising capacity, the range of economical applications for battery storage systems is growing. There are many opportunities for Europe to take on a leading role in this transitional period,” says Pablo Ralon, Associate Program Officer, Renewable Energy Cost Status & Outlook of the International Renewable Energy Agency (IRENA). “The summit is taking place at exactly the right time. Interest in renewable energies is now growing in France, as are investment plans for storage solutions. Balancing the public grid and connecting vehicles to the power grid are also focal points,” adds Louis-Narito Harada of Eversheds Sutherland. At the ees & IBESA Summit France, the industry will not only sketch out joint visions of how the storage market should function in the future, but will also consider the expansion of the EU market and the development of new business models. Ultimately, the industry meeting point will serve to further drive the transnational discussion on the expansion of storage technologies. The event’s organizers are Solar Promotion International GmbH, the International Battery & Energy Storage Alliance (IBESA) and Freiburg Management und Marketing International GmbH (FMMI). Trion-Climate e.V. is a co-organizer. The ees & IBESA Summit France 2018 is made possible by a range of high-profile sponsors. The organizers would like to thank Hager Electro GmbH & Co. KG, SOCOMEC and Sonnen GmbH for their support.